I don’t know what religion you are, and frankly I don’t care. I respect anyone who practices any religion as long as hate is not part of their religious structure. You may or may not either regularly or on occasion attend a religious service, but most adults have spent enough time in some place of worship to know what that environment is supposed to feel like. Whether the leader or congregants of the service are sincere or not, the atmosphere is at the very least more often than not portrayed as one of worship, love, and maybe most importantly peace. Now imagine 2 insanely hateful individuals storming that service with butcher knives and guns and attacking anyone they find. Would you not expect, even demand an organization created to protect human rights to address this attack with a louder voice than they do its response? That’s assuming all you had to do was see this attack and weren’t actually one of the victims. 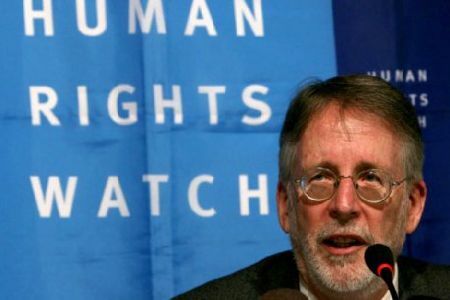 Here is why I believe HRW is doing what so many others seem to do on a regular basis. It comes down to fear. I don’t criticize fear. Fear is not only understandable, very often it’s an appropriate and wise emotion. However, what I believe causes people such as yourself to be heard when attacking Israel for its response to this horrific terrorist attack, but being nowhere to be seen or heard after the attack itself, is the fear of those with the similar mentality of the attackers. I understand the fear. These are brutal, scary people. But to go after one side because it’s safer than going after the perpetrators of barbarism is irresponsible hypocrisy. It makes you a Chicken Critic. I think this mentality, assuming it is not based in pure anti-Semitism which is also possible, is the epitome of cowardice. It’s one thing to stay quiet because you’re scared of the bad guy. It’s an entirely different thing to attack their victim. I see it all the time. It is easy to go after Israel and the Jews. Let’s face it, and I say this with pride, we live in a world where you can piss off 10 million Jews and not put your life in danger, but if you say anything against Muslim extremism you become a target. So people like yourself feel they will take it one step further and say something aligning with those who are far more dangerous giving themselves an illusion of safety. I see this Chicken Critic Effect on a small-scale on social media when people go after the easy target and stay clear of the difficult one, but for the most part the people who do this are harmless and often even good people who were just rubbed the wrong way by a comment or post. Your comments however are irresponsible. They strengthen the terrorist mindset by criticizing the response. It’s an ugly thing that Israel had to do in response, but given a choice between doing the one thing that might help and doing either nothing or a ceremonious and useless action, the choice that might help is the only true option. And if you were genuine you would recognize that Israel was forced into this position. But I am guessing you are either too scared or hate Israel too much to approach this situation honestly. Apparently you have a rich history of supporting evil, having reportedly written an article praising the Munich massacre and attending an anti-Zionist conference hosted by Saddam Husseim. So maybe I am giving you too much credit when I call you a Chicken Critic. With that said you may be just one more bad man in a world giving too much credibility to the bad people. Either way it’s another example of civilization being destroyed by self-serving short-sighted individuals and groups. This is something that will make us all suffer, and when we do, you Mr. Stork will be one of the culprits responsible for our suffering. Pretty ironic for someone who claims to care about human rights.